The Highland Humane Society Animal Shelter Pet of the Week is Berta, an approximately 3-year-old female mixed breed. She is super friendly toward everyone and has great manners. She doesn’t jump up on you and rarely barks. She’s just an all around lovely dog. Berta was brought to the shelter with a collar and very clean as a stray dog that nobody claimed. If you could give Berta, or any of the other kittens, cats or dogs at the shelter, a good home, visit the Humane Society Animal Shelter at 9331 SR 124 (P.O. Box 471, Hillsboro, Ohio 45133) or call the shelter at 937-393-2110. The shelter is open Tuesday through Saturday from noon to 5 p.m. and is closed Sunday and Monday. It is always in need of supplies. This week the shelter is asking for canned cat or dog food. 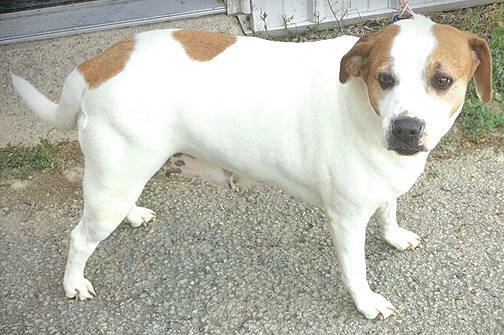 https://www.timesgazette.com/wp-content/uploads/sites/33/2018/07/web1_Pet-of-week-pic.jpgThe Highland Humane Society Animal Shelter Pet of the Week is Berta, an approximately 3-year-old female mixed breed. She is super friendly toward everyone and has great manners. She doesn’t jump up on you and rarely barks. She’s just an all around lovely dog. Berta was brought to the shelter with a collar and very clean as a stray dog that nobody claimed. If you could give Berta, or any of the other kittens, cats or dogs at the shelter, a good home, visit the Humane Society Animal Shelter at 9331 SR 124 (P.O. Box 471, Hillsboro, Ohio 45133) or call the shelter at 937-393-2110. The shelter is open Tuesday through Saturday from noon to 5 p.m. and is closed Sunday and Monday. It is always in need of supplies. This week the shelter is asking for canned cat or dog food.